It’s a term we use quite frequently but you may have never heard before: Underpinning. So what exactly is “underpinning”? Underpinning may also be called foundation underpinning. In this context, it makes quite a bit more sense, and you can actually picture what it means. Underpinning is the process of stabilizing the foundation of a home or other structure with foundation products like ECP’s steel piers (or push piers). These systems are installed under the home or structure and they are driven into the deep, more stable soil well beneath the structure to strengthen and stabilize the foundation and the rest of the structure above it. Is Underpinning a permanent solution? While nothing is absolutely permanent, underpinning is a solution that should last. It is also a solution that can help with foundation settlement. Underpinning with piers allows us to lift and level the foundation as well. So not only is underpinning a long lasting solution, it is a solution that brings your home back to the position it was in originally after foundation settlement has occurred. 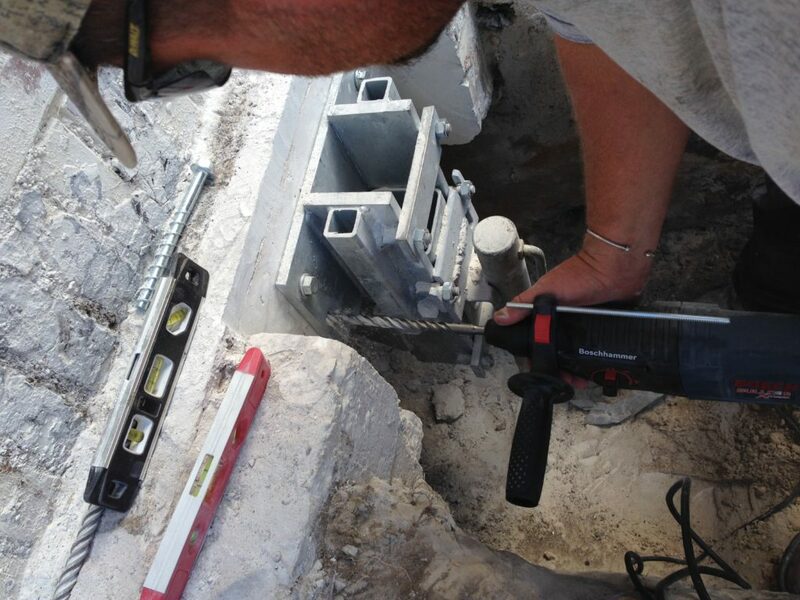 How do you know if Foundation Underpinning is the right solution for you? People call us quite frequently having found cracks in their foundation walls. It’s common to see foundation cracks, or other common problems associated with foundation problems and assume the worst. People are concerned about the costs of foundation repair. We understand. But let us assure you, not every foundation problem is a worst-case scenario. The best advice we can give you is to use our network of underpinning contractors when you have concerns about your foundation. They can access the problem and let you know if underpinning is the right solution for your problem, and work with you on financing in many cases. Your foundation is the footprint of your home, so don’t wait for foundation repairs. We’ve said it before and we’ll say it again. You may prefer to spend your money updating the things in your home that make it more beautiful like carpets, kitchens, and bathrooms. But really, none of that matters if you have a failing foundation. Don’t ignore foundation problems. Make the call, see if underpinning is the right fit for you. Also, please don’t hesitate to call us. Many people have questions about steel piers and other underpinning solutions. We have a knowledgeable team that has the answers. Reach out to a local foundation repair contractor in our network for an inspection. It is better to know if underpinning is what you need and be able to get help finding the right solution for your home or business.